After exploring the beautiful pillared Kalyana Mandapa, we moved on to explore another beautiful temple located few yards away from here. 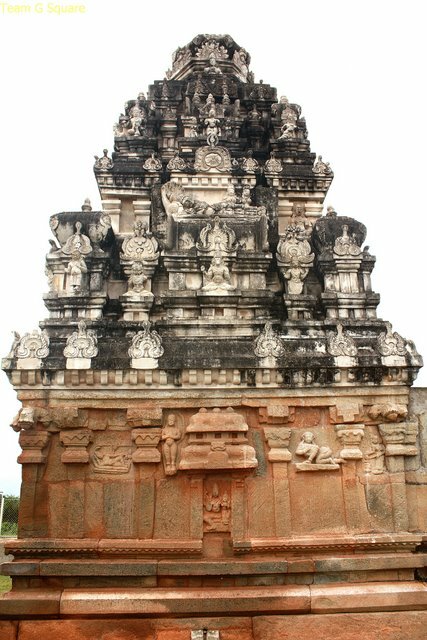 This temple is dedicated to Lord Balakrishna and was built by the Pallavas during 9th century. 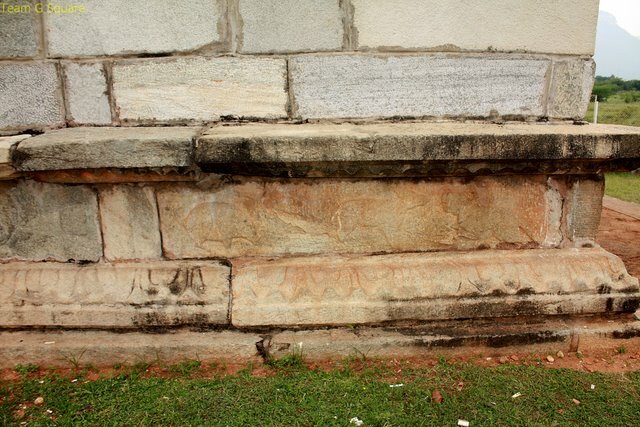 This temple consist of a garbagriha, an antrala, Sukanasi and Navaranga with a missing Mukhamandapa. 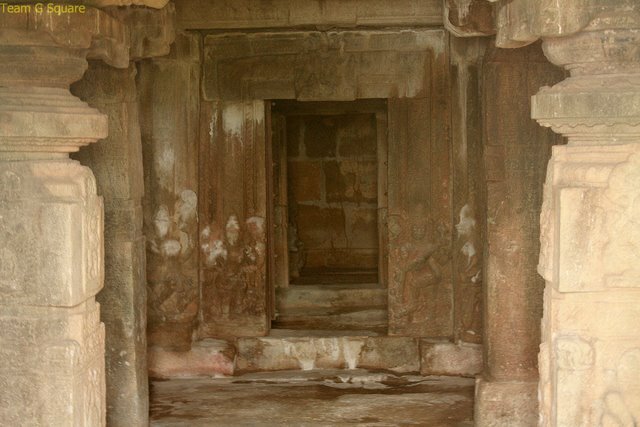 Udayagiri was one of the most important cities of Medieval south India. It was ruled by Satavahanas, the Cholas, the Pallavas, the Telugu Chodas, Vijayanagara, Gajapathis, Golconda Nawabs and Finally Britishers. 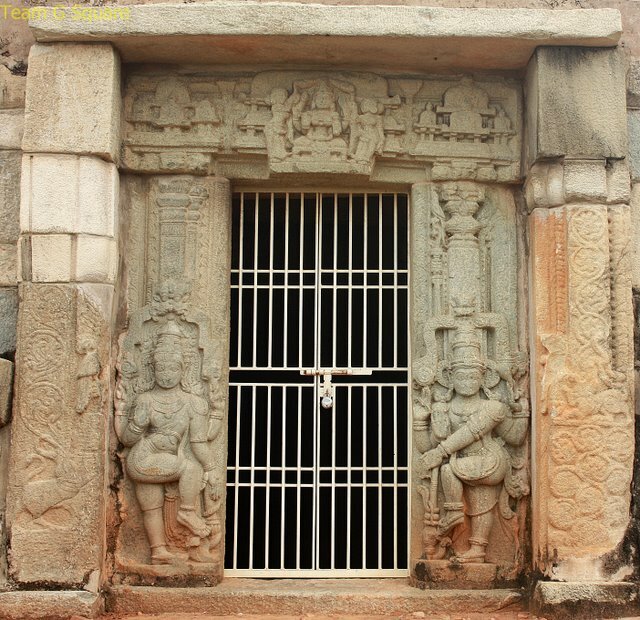 Udayagiri was captured by Vijayanagara King Virupanna II in early 15th Century (around 1402 AD) from Telugu Chodas and later went into hands of Gajapathis (Kings of Orissa) under the rule of King Purushottam around 1485 AD, who also captured the surrounding areas of Kondavidu and fortified these towns. 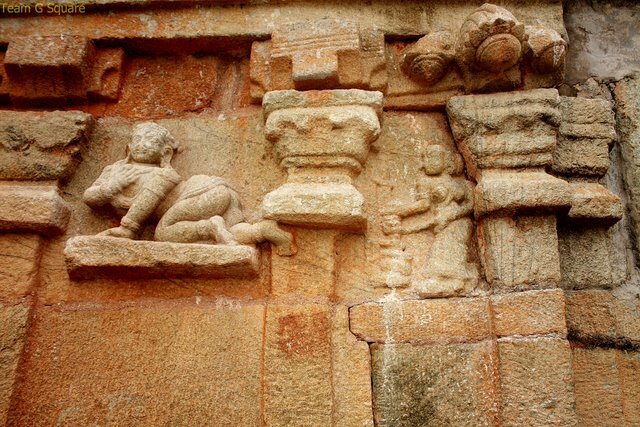 In 1512 AD King Krishnadevaraya recaptured Udayagiri and its surrounding areas and moved forward towards Cuttack to capture the Gajapathis, who then offered a peace treaty by asking Krishnadevaraya to marry their Princess Jaganmohini(Bhadradevi), the daughter of Gajapathi king Prataprudra . Though there is no documentation of this marriage in any form of Inscriptions (further reading on this). In response to this Krishnadevaraya returned back the territories earlier held by Gajapathis. In celebrations of this roaring victory over Gajapathis, Krishnadevaraya made lavish donations to many temples in his Kingdom, namely Vijaya Vithala temple (Hampi), lord Venkateshwara Temple (Tirupathi) and so on. 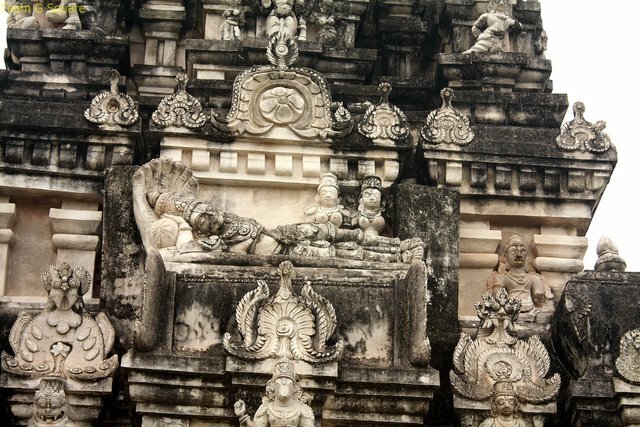 Almost all the temples down south were provided with an imposing Rajagopuras, beside a many pillared mandapa or pavilion were added to the temple complexes. Most of the old temples in Hampi were renovated and lot of additional structures were erected. 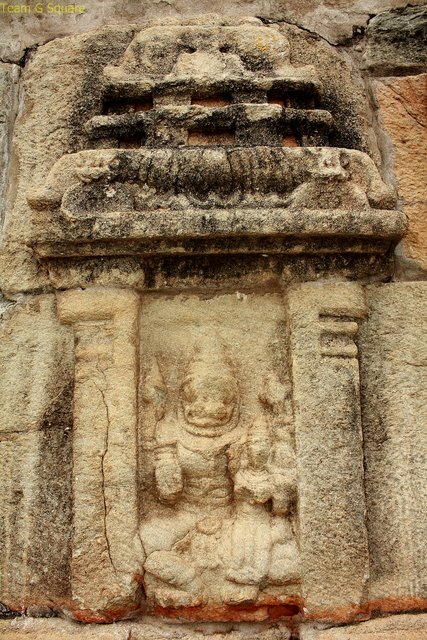 A complete temple dedicated to Lord Krishna in Hampi was built to mark his victory and where he installed the murti of Lord Balakrishna which was brought war trophy from the Lord Balakrishna temple in Udayagiri as per inscriptions found at this temple of 1513 AD. 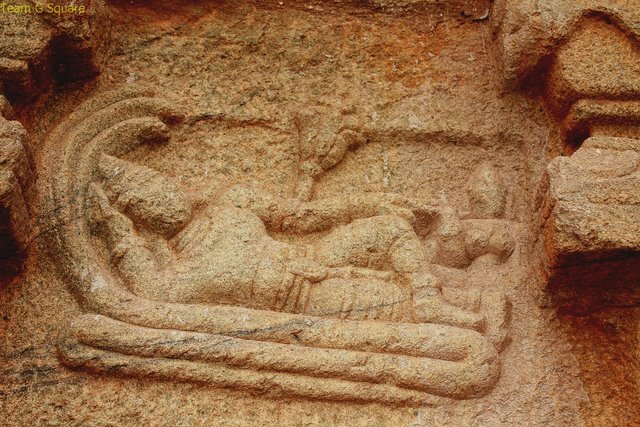 2.Book"Archaeology, Art and Religion, new perspectives on Vijayanagara" written by Anila Verghese. 3.Kannada Book "ಕನ್ನಡ ವಿಷಯ ವಿಶ್ವಕೋಶ - ಇತಿಹಾಸ ಮತ್ತು ಪುರಾತತ್ತ್ವ " - University of Mysore. Another terrific post with superb captures and fascinating history! I always look forward to them! Hope your week is going well! Thank you for providing historical and cultural information to go along with your pictures of this magnificent structure. The detail in the carvings is truly amazing. interesting history and beautiful images! Amazing architectural beauty. Great captures! Loved reading the history associated with it too. I agree with chitra here, thank you for sharing all these amazingly beautiful wonders with us. wonderful..since am just back from a trip down south myself...and have seen some wonderful temple architecture....i can truely appreciate this!!! I love all those architectures -- simply breathtaking!!! Chitra commented "Well captured pics . Your posts really open a new window for me which was unknown till now". Beautiful images and clear short comments about them! Enjoyed it. The carvings are amazing as usual! In a place with a rich history, so many stories go untold - in this case, those of the highly skilled sculptors. Is it possible some descendants are still residing there? I would like to dig these stories up. You have now added one for place to my trip list. Thanks. Great pics! 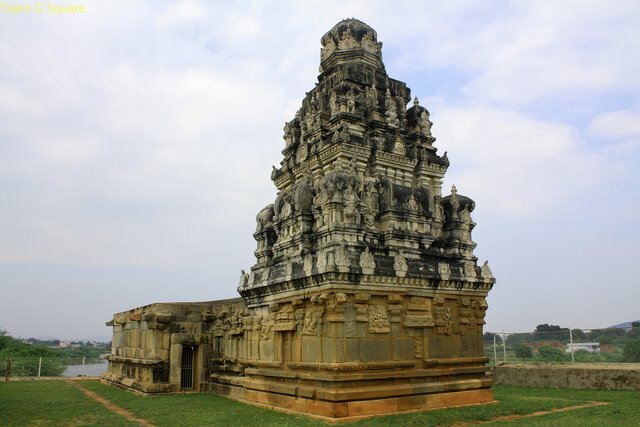 Vijayanagara produced great temples!